Believe it or not, there was a time when the Archie daily newspaper strip was actually funny. 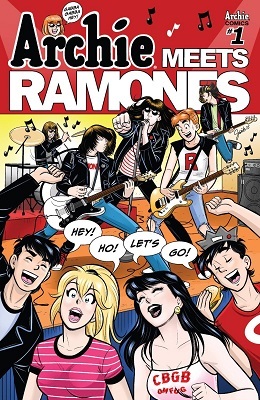 For instance, there was the storyline in which the title character became principal of Riverdale High for a day. "[M]y biggest inspiration for this book was Russ Meyers’ Faster, Pussycat! Kill! Kill! along with other ‘60s and ‘70s cult/exploitation flicks like The Wild Ones and Switchblade Sisters. But I also wanted to make sure that it’s not just violence and shock — there’s a real story about empowerment and female friendship in here that really is the core of the entire series." --Jamie L. Rotante, Comicosity interview 20 October 2017. 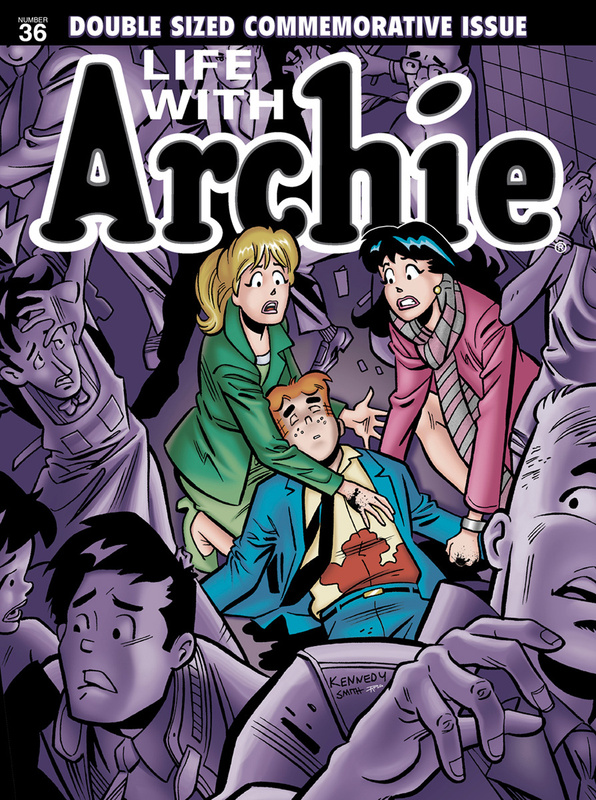 One of my all-time favourite Archie stories, because it shows a level of character depth and introspection that was rare before the Archie renaissance of the present decade. 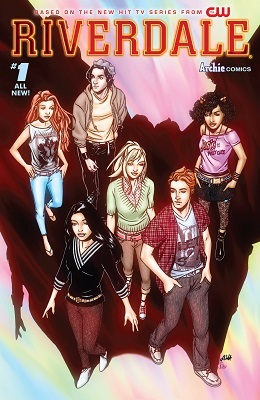 The debut of Cheryl and Jason Blossom! 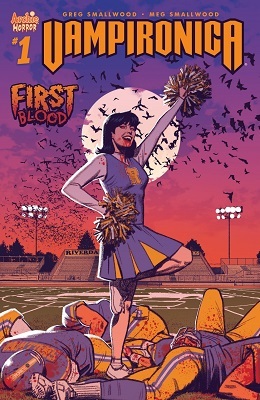 Long before Cheryl and Jason Blossom were the victim and victimizer within a taboo relationship in Afterlife with Archie, or respectively mentally disturbed and dead in the Riverdale TV series, they were more lighthearted elitist troublemakers in the old Archie Comics continuity. That doesn't mean what they got up to wasn't envelope-pushing in its own way for the relatively family-friendly venue. Especially in this, their first appearance. 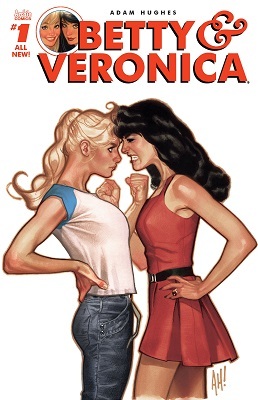 "One of the most talked-about Archie Comics stories ever [...] This one has taken on such legendary status that many don't even believe it exists." 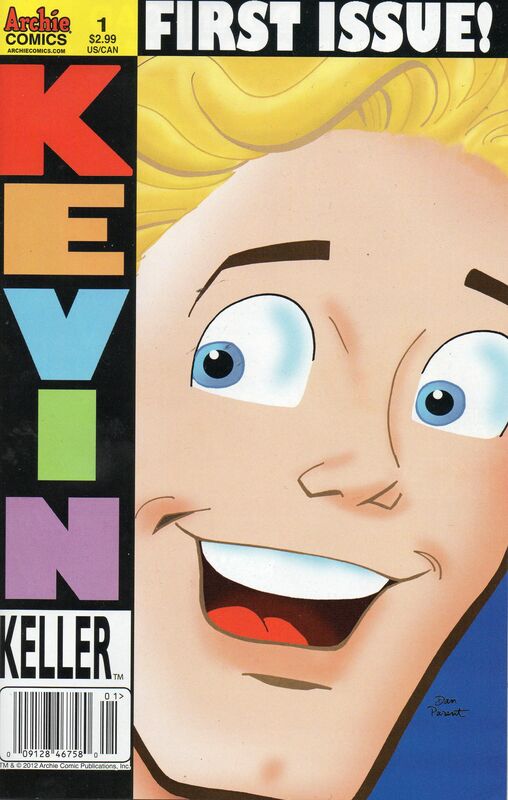 In 2012, One Million Moms protested against the marriage of Kevin and his boyfriend Clay in Life with Archie. I wonder what they would've made of this story, back when it was first published. It's well known that Archie Comics was one of the leading publishers behind the implementation of the Comics Code Authority which kept comics squeaky-clean and decent for the tiny tots. But are you familiar with the expression "getting crap past the radar?" auggie18's Collection of Random: Speed Force Burgers, True Love and more! Let's check in with yet another of the future timelines Archie Comics is doing--the one where he marries Valerie of Josie and the Pussycats! Eventually, they eloped and got married, but the two bands' touring schedules meant the young couple wasn't getting much together time. 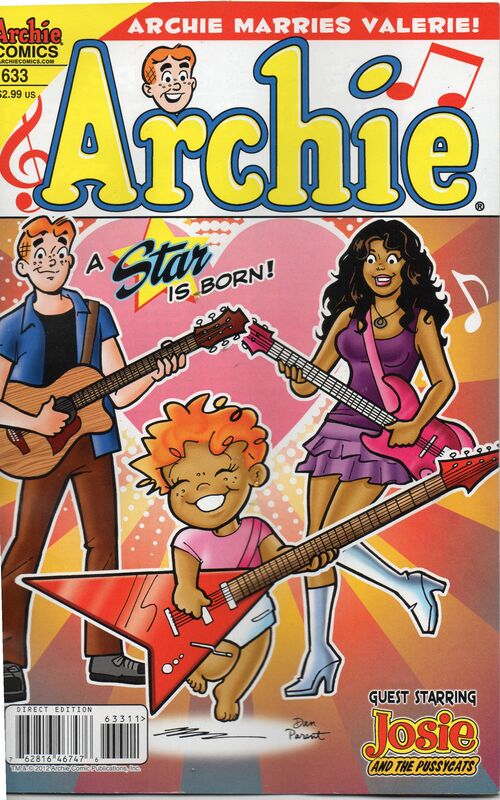 Alex (the Pussycat's PR guy) put together a reality show where Archie and Valerie helped teach kids at music school. This was so successful that Mr. & Mrs. Andrews decided to go full-time.